From the West Bank to New Orleans East, visit any or all of these delicious Vietnamese restaurants. We’re about a month into the New Year already, but several cultures around the world have their own New Year’s celebration, and today we’re talking about Vietnamese New Year, Tet. Considered the first day of spring and the most important of national holidays in Vietnam, Tet is the annual Vietnamese New Year celebration, which coincides with the Lunar New Year. (“Tet” is a shortened form of Tết Nguyên Đán, or “Lunar New Year”). This year, the Vietnamese New Year is on Feb. 5, and in true New Orleans fashion, with any celebration comes food! I’ve rounded up my top picks around the city so you can celebrate with some delicious Vietnamese cuisine. 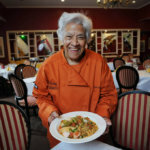 First off, I’d like to say that Dong Phuong was on the list before they won a James Beard award! Ask any New Orleans native about their favorite king cake, and a majority of them will tell you Dong Phuong’s is hands-down the best one in town. 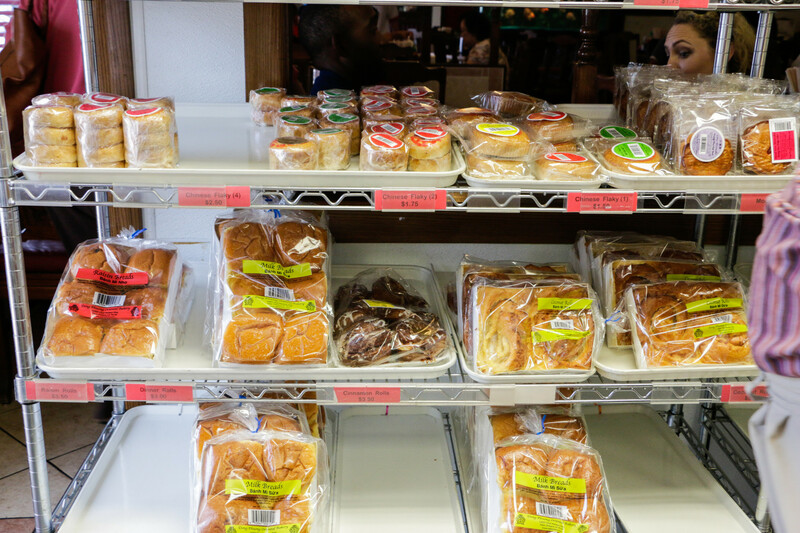 Outside of king cake season, they have a full bakery full of breads, buns, and pastries. Additionally, you’ll find delicious (and affordable) bahn-mi sandwiches that are made with their homemade baguettes. 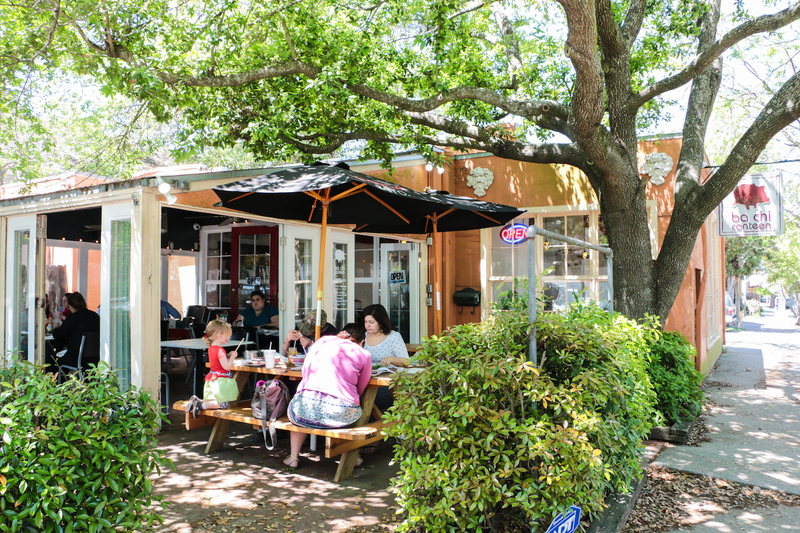 Once you eat here, you’ll quickly see why they have a James Beard award behind them. Tucked away uptown on the corner of Maple and Fern, Ba Chi Canteen is my go-to for Vietnamese food these days. They have a variety of items, such as pho and rice and noodle dishes. But the real winner is their bacos – think: taco goes Vietnamese. They have everything from fried oyster to pork belly to fried tofu and everything in between. If you’re feeling sassy, you can get them wrapped in lettuce but I say go full baco and get it with the steamed bun. You won’t be sorry. I’d also like to call your attention to my favorite starter, kimchi fries. I’ll let you discover how great those are on your own. You know I had to take you to the West Bank for one of my favorite Vietnamese choices, Tan Dinh. The menu is huge, so be prepared for that. My favorites are the Bahn Bao (steamed buns) and jasmine rice plates. Also, whatever you order, just make sure you get their peanut sauce with it. I’d really love for them to bottle it and sell it to me so that I can have it on the regular—it’s so dang good! They also have a fun selection of tapioca drinks that are both strange and refreshing. MoPho is special, because it’s one of the few fusion restaurants that actually succeeded in fusing two different cuisines together. 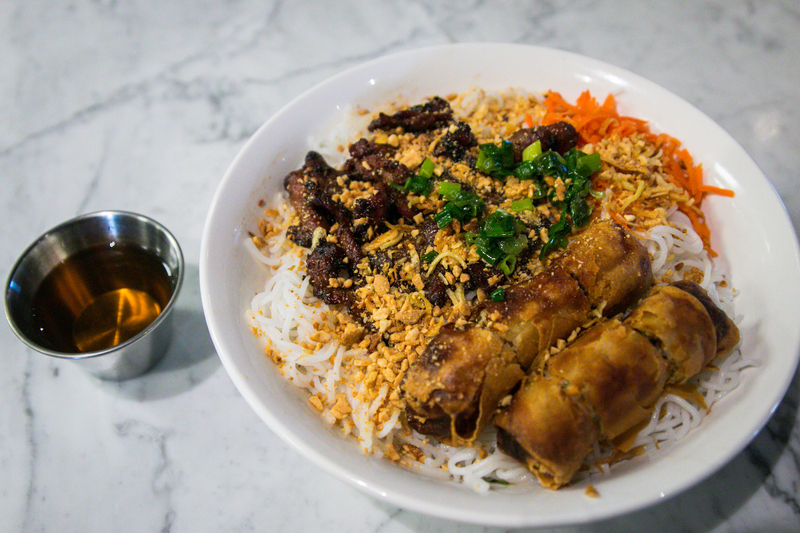 You’ll find a New Orleans twist on classic Vietnamese dishes on their menu. 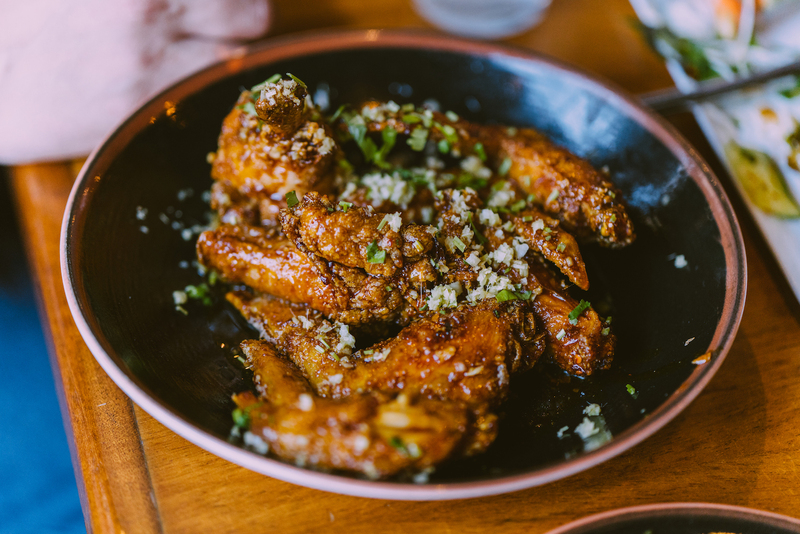 Some good go-to’s are the crispy chicken wings, sloppy roast duck po-boy, pepper jelly braised clams, and the ever so classic chicken ‘n waffles. You also can’t go wrong by ordering the top shelf pho, which includes oxtail, duck confit, and pork belly. 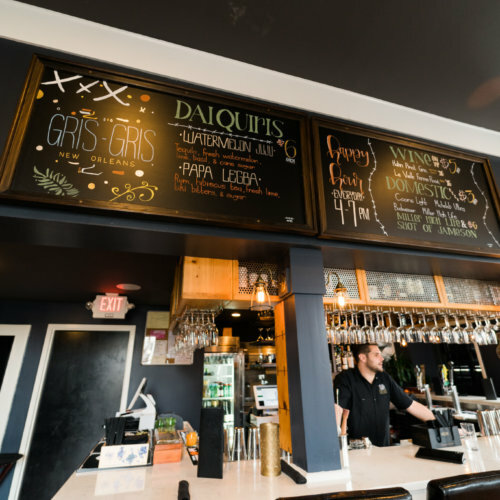 Come for lunch and dinner, as the menus vary slightly, so that you can try all of the different options they offer. 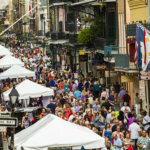 Nine Roses is a good one if you’re out in the French Quarter. They have a dish that would please any taste buds. Nine Roses offers a variety of classic Vietnamese dishes, such as vermicelli, hot pots, pho, spring rolls, salads, and soup. 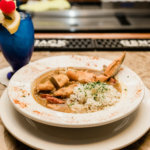 As lagniappe, they also have Chinese dishes such as hot and sour soup, egg drop soup, and sizzling Go-Ba, a Chinese dish of shrimp, chicken, and beef served hot on a sizzling plate. I highly recommend Nine Roses if you’re with folks that just can’t decide what they feel like eating. This list wouldn’t be complete without including Pho Tau Bay. In the last couple of years, Pho Tau Bay moved locations from their longtime spot on the West Bank to the Central Business District. Visit and you’ll see why Anthony Bourdain came here. The broth (which is the ingredient that can make or break a pho) is rich and full of flavor. And the nice thing about pho is that you can get a bowl that matches your dietary preferences. But heads up – get there before 11 a.m. or after 1:30 p.m., because there’s a long wait otherwise. Ducky Cuban. Yes, you read that right. Namese has very traditional dishes, such as pho and spring rolls, but they also have fun twists on other dishes. Ducky Cuban is one of them; it’s a traditional pressed sandwich, but they add their own flare. The sandwich includes braised duck, bacon, cheese, hoisin aioli, and pickled veggies. Some other favorites are the shrimp and bacon spring rolls, sticky sweet ribs, mussels (they’re cooked in coconut sauce, yum! ), and shaken pho bac. Namese is located in the heart of Mid-City, and I recommend it on any night of the week for a fun date night or group dinner outing. This quaint and casual restaurant offers a variety of Vietnamese dishes such as spring rolls and Pho. At Lilly’s, there’s nothing fancy, but the food is oh-so-delicious. Enjoy one of our favorites, Lilly’s Rolls served with their signature peanut sauce. 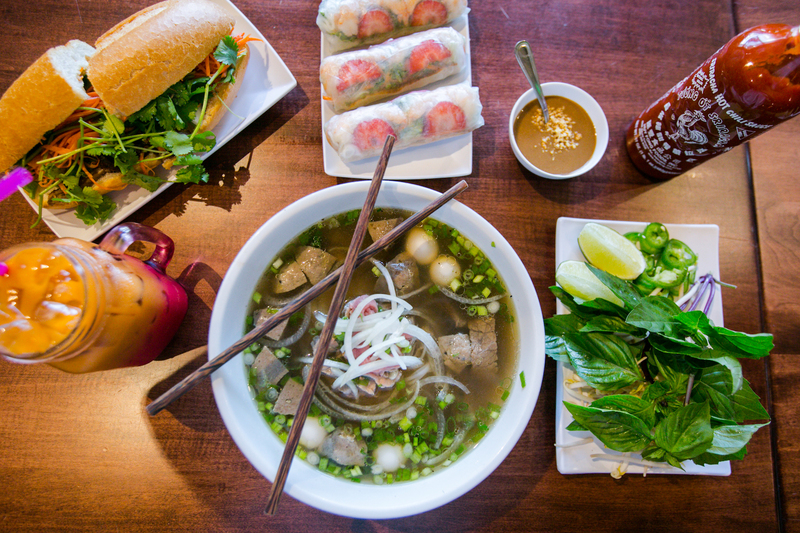 Located uptown on Magazine Street, Pho Cam Ly will warm your soul with their Pho, Banh mi, and other menu items. The restaurant is named after the Cam Ly Waterfall in Vietnam where the owners grew up. Drawing from their childhoods, the menu is full of classic and traditional Vietnamese offerings. If you haven’t had a chance to try any of these restaurants, Vietnamese New Year is the perfect reason to start making your way through this list. Happy New Year y’all—now let’s go eat!